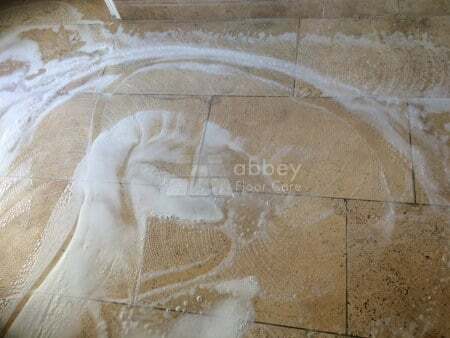 This Travertine cleaning Selby project arose after my client searched for advice on cleaning the Travertine floor in her kitchen. 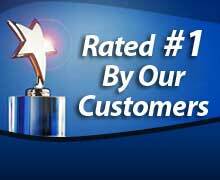 She found about our Travertine service while searching online and contacted us for help. The Travertine floor was around ten years old. They had cleaned and resealed the tiles a couple of times. However, the floor had got progressively soiled, and they could not get it clean again. 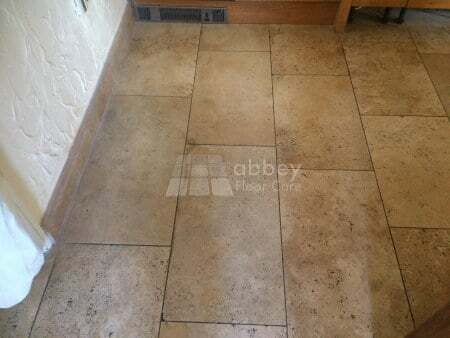 I recommended that the floor needed to be deep cleaned with scrubbing equipment to remove the ingrained soil and then sealed with a Travertine Surface Sealer. After considering my advice, they decided to proceed with my Travertine cleaning and sealing proposal. 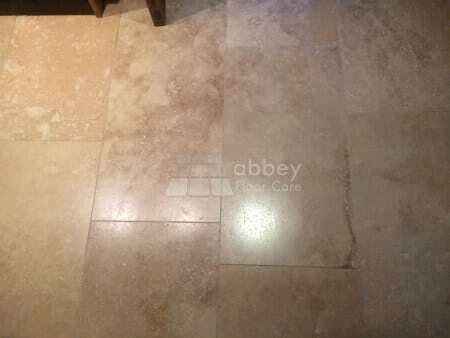 I started the cleaning process by coating the floor with a heavy-duty Travertine cleaner. The cleaner was left for around 20 minutes to start working on the soil. I used a rotary scrubbing machine to scrub the cleaning solution into the surface of the sandstone to help break the ingrained soil away from the pores of the sandstone. I applied an impregnating sealer to help prime the stone. Then I applied five coats of a mid-sheen surface sealer to give a beautiful, easy to clean finish. My client was delighted with the results and commented that my work exceeded her expectations. 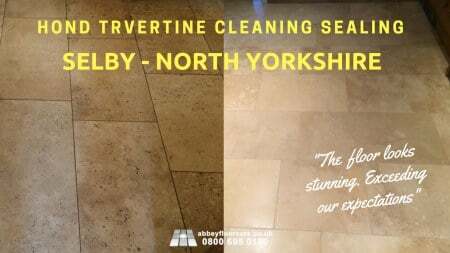 If you are looking to clean a soiled Travertine floor, contact us now for a free, no-obligation Travertine restoration quotation. You will be delighted with the results. 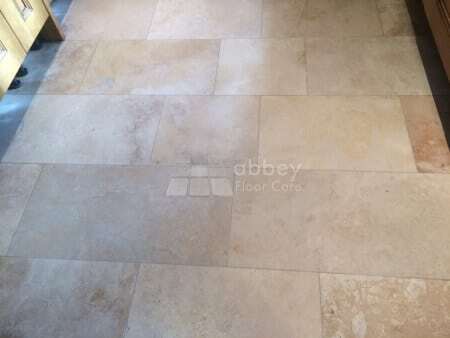 A Worn Travertine Floor In Chippenham Restored To A Great Finish. Does Your Travertine Tile Floor Look This Good? Would You Like Your Travertine Kitchen Floor Polished Like This?